Deciding that there's nothing more that can be done to stop your pet from suffering endlessly is incredibly difficult. It's the reason why any pet euthanasia in Paisley that you get from us will be carried out only after a full quality of life consultation. This will make it perfectly clear to you whether or not anything can actually be done for your pet to improve the quality of their daily life to the point where there is another option. If the only alternative is them being in constant pain, we can go ahead with your pet euthanasia, which we prefer to deliver in-home. This allows your pet to avoid the stress and discomfort of travel in their final days. It also allows you to say goodbye somewhere that's calm and peaceful - and not on the stainless steel tables of your local surgery. You can make your pet comfortable sure in the knowledge that they will feel no pain beyond the first little prick of the needle. After it's over, we can take them away to lie in our chapel of rest if you ask for us to do so. For many of our clients, it's the last thing they'll think about. For many others, it's something that they can't simply gloss over. The cost of putting a dog to sleep is something we rarely need to discuss first off - usually, we meet concerns over the pain-free nature of the process or the comfort with which we always try to surround your pets as they pass on. But whether you need to know more about the procedure involved in putting a dog down in particular or dog euthanasia costs in general, please do call and have a chat with us whenever you feel you can. We find that for many people who come to us, the more information they have about the process of putting a cat to sleep is a way to make it as easy as it can be. From being sure that it's the only choice for your ailing pet to practical issues such as cat euthanasia costs, whatever you need to know - we're here to help. We offer the perfect way to make sure that you're giving your pet the very best in palliative and end of life care. 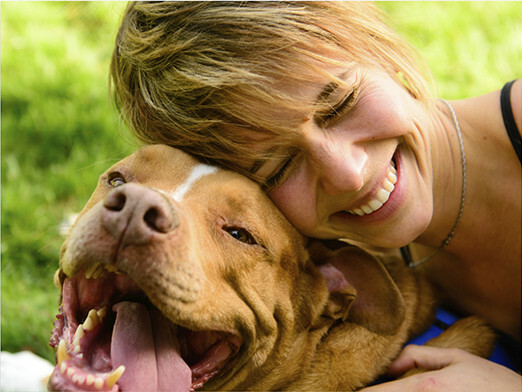 You can start out by arranging an in-house pet quality of life consultation with one of our vets. They'll come and investigate your pet's health and environment, returning a personalised plan for their care to you along with any pet pain relief medication which they might need. All pet pain relief in Paisley that we provide is with the aim of giving your pet the best condition they can get out of the end of their life, whether this means while in the throes of terminal illness or in the extremity of age. We only prescribe pain relief for cats and other pets after meeting them in person in the environment in which they live. This enables us to provide you with all of the information you need regarding the best pain relief for dogs or any other pets you might have. We have a special chapel of rest where we conduct pet cremation in Paisley. The grounds of the chapel make a perfect place to relax before and after the service, and many of our clients choose to spread the ashes of their pet there afterwards too. You can choose either of the following two types of pet cremation at our fully accredited chapel: The first is a solo service where your pet will be cremated alone. You can then have ashes which are guaranteed to be only theirs returned to you. Our other option is a group service, after which the ashes will be spread in the chapel grounds during a ceremony which you are of course more than welcome to attend. One of many people's concerns about animal cremation is making sure that it's carried out in a respectful, gentle and caring manner. As animal lovers and pet owners ourselves, we understand this more than anyone. All of the cat cremation and dog cremation we carry out our local pet chapel of rest is done with the utmost care and attention. If you need to know anything more about the process, about pet cremation costs or anything else, please don't hesitate to get in touch whenever you feel you can face the conversation. 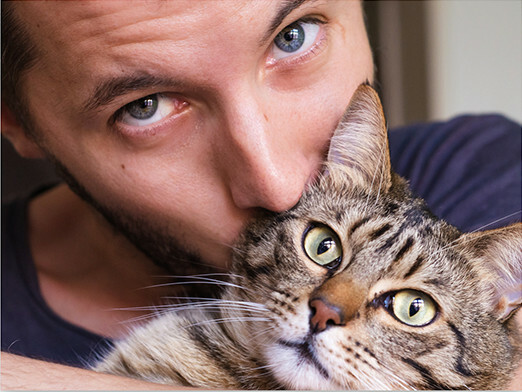 The final step in saying goodbye to your pet is to choose how to memorialise them. Many people prefer to place a marker in the form of a stone or headstone in a favoured spot. Others prefer to select a tasteful container for their pet's ashes as a form of pet memorial. But regardless of which one you prefer, we offer all kinds of pet memorials in Paisley. Please don't hesitate to ask us about the one you feel would be best for your remembrance. We'll always do our best to provide it. PA1, PA2, PA3, PA4 - Renfrew, PA5 - Johnstone, PA9 - Johnstone, PA10 - Johnstone, PA11, and PA12 - Lochwinnoch.